There was speculation in Korean media not long ago that LG mulls folding its G-series into the V one, as currently the differences between the two are not that clear-cut. Water in that mill was just being poured, as the team from LetsGoDigital discovered Canadian Intellectual Property Office filings for approval of no less than five V-series trademarks, from V50 to V90. If you are wondering why so many, just remember that LG does incremental upgrades and has lately been releasing a flagship of one sort or the other every six months or so. 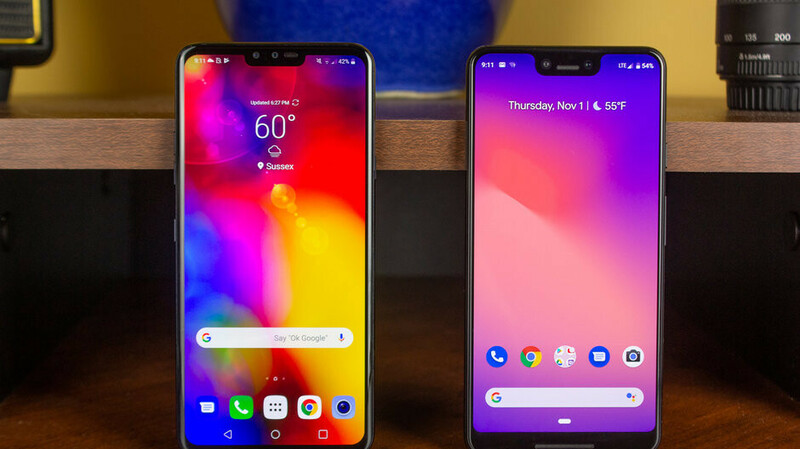 Just this year, we've had the V30s for AT&T, the V35, the G7 and the V40, so LG is just going to continue dishing out those numbers before it hits V100, at which point it may reconsider the naming scheme. We kid, but reportedly the LG head honchos are disappointed with the flagship G-series sales, and have been examining a merger with the V-line that usually evokes more positive reactions for a while now. Lg phones always lack something or the other . Just bring stellar over the top specs , Change of UI/UX . Price it aggressively , Lg will be back. LG and Samsung are dinosaurs in the smartphone business and guiding the branch to degradation. I think Huawei in the future, will not buy From L.G. again Displays ( mate pro 20) because L.G. sabotage her business.